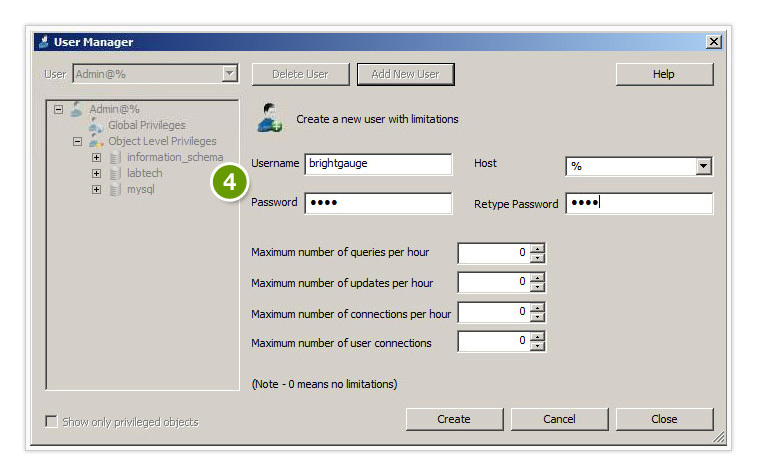 This document is a step by step guide for connecting to a mySQL database within BrightGauge. 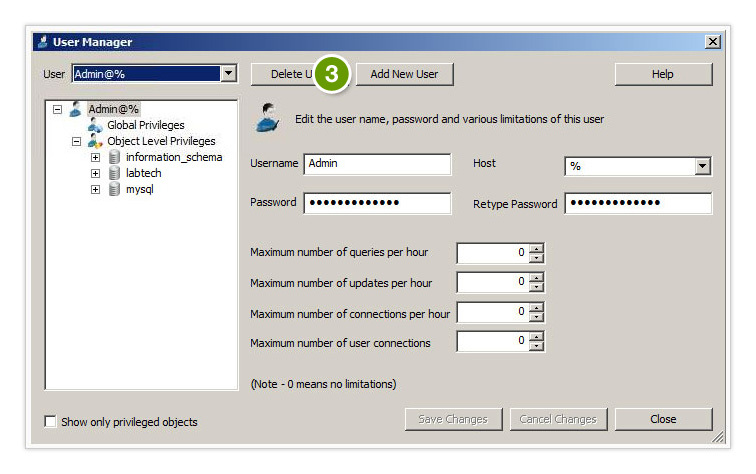 Once the agent is up and running, you’ll now need to create a SQL user within the mySQL database. Here’s a guide on how to do that. Make sure to enable the user to log into the mySQL database. You’ll need to put the database name into #5 in the screenshot above. Note: Please make sure that your database password consists of only alphanumeric characters (A-Z or 1-9).